I competed in the Swim the Loop 3.5 miler a couple weekends ago and felt strong. Finished 4th overall but moved to 3rd after one competitor in front of me was penalized for having a personal kayak escorting/guiding her. This is not OK in open water unless the race specifically mandates a guide. The swim was choppy for the first 1/3 then pretty calm for the remainder, other than a bit against the tide for that portion. I finished much closer to the overall winner than in years past and was happy about that! 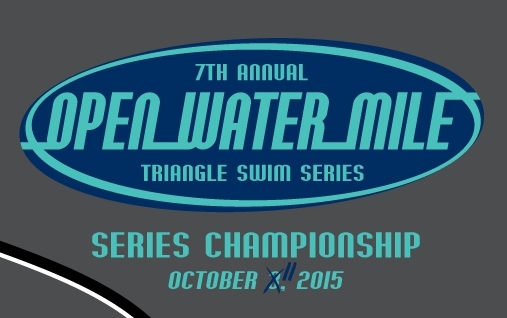 We had to postpone our own open water swim from October 3 to October 11 as the Carolinas were being swamped by rain. Our safety rescue boats could not commit to being on the water with us if there were potential emergencies elsewhere. Our final swim went off without any issues, it was a little choppy but that's what wind and open water can entail. A bunch of us also ran in a local 5k on Saturday, the morning before the swim. I haven't broken 20 this season but guess what? Guess what? You'll never guess. Oh, you guessed it. I did break 20! Yay for me! By 12 seconds. But, who's counting? Oh, you are. Whatever. Next season is shaping up to be an in-depth return to long distance events. A couple of our friends have talked us into doing the American Triple-T in Ohio in May. This is a 3-day 'stage' race where the total distance adds up to the same as an Ironman. If that sounds nuts to you, that is because it is. Bri and I have entered as a team, meaning we can suffer together and do some bike drafting on the final two events. Our plan is to start slowly, then ease off. This will take the place of our 12-year anniversary vacation. Ha! But wait, there's more! 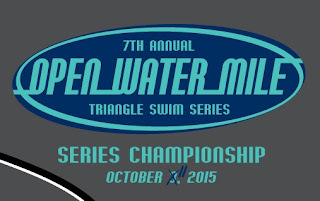 I have signed up for Ironman Chattanooga in September, 2016. So there will also be a big block of miles in July and August. I plan to be pretty dedicated in March and April, then take late-May early-June pretty easy. So 2016 is already planned out. Do you know what you'll be doing one year from now?